E-cigarettes have certainly been dominating the news cycle recently. Though a popular alternative -- particularly among youth -- to traditional cigarettes, the device comes with a rather long list of dangerous side effects and health risks for users. Because e-cigarettes aren’t regulated, how the devices will impact users’ health later in life is still unknown. However, a team of researchers was interested in studying how the chemicals in e-cigarettes’ refillable cartridges affect users’ health. A new study examined the harmful effects found in the flavorings and additives that are used in e-cigarettes, as the researchers found they can alter lung function, cause inflammation throughout the body, and increase mucus production. According to the Centers for Disease Control and Prevention (CDC), the aerosol found in e-cigarettes contains nicotine, cancer-causing chemicals, heavy metals, ultrafine particles, volatile organic compounds, and flavorings. To test the effects of these chemicals, the researchers exposed mice to several different chemical combinations four times each day, with 30-minutes in between each exposure of smoke-free air. Some of the mice were exposed for longer periods of time -- up to four weeks -- while others were removed after three days. The groups exposed to the chemicals were compared against another group of mice that were exposed to smoke-free air. Because many people turn to e-cigarettes either to quit smoking or as a healthier alternative than regular cigarettes, the researchers were interested in comparing the results between the mice exposed to the cigarette smoke and those exposed to the e-cigarettes. The results proved to be surprising to them, as they found that the e-cigarette group experienced oxidative stress -- the state of oxidative damage in a cell -- at a rate either higher or equal to the cigarette group. The researchers also found that in the mice exposed to the e-cigarette flavorings showed more adverse side effects in the short-term that appeared to go away over time. For example, the mice exposed to the e-cigarette vapors after just three days had impaired lung function, an increase in mucus production, and signs of inflammation. However, over the long-term, the e-cigarette group showed fewer negative side effects. The researchers believe that further research is necessary in this area to really see how e-cigarettes are affecting people. A recent study done by George Mason University found that not only do many e-cigarettes cause severe burns, but some have lithium-ion batteries that have been known to explode or catch fire, leaving users with third-degree burns, loss of tongue, teeth or eyes, and some have led to death. The researchers were particularly concerned because many people aren’t reporting these injuries and incidents. E-cigarettes aren’t regulated or monitored in any way nationally, and because of this, the researchers have reason to believe more injuries are occurring because of e-cigarettes. Additionally, in late September, the Food and Drug Administration (FDA) was discussing banning the sale of e-cigarettes online. 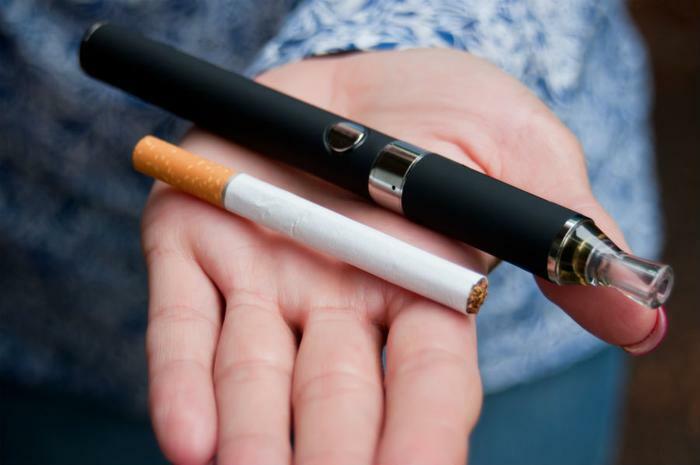 Commissioner Scott Gottlieb believes e-cigarettes have caused a “epidemic” among teens, and is looking to reduce the number of young people using e-cigarettes.